At the end of his presentation, Kouwenhoven indicated that he was cautiously optimistic that they had glimpsed the Majorana fermion. Quantum particles come in two types, fermions and bosons. Bosons can be their own antiparticles, implying that they can annihilate each other in a flash of energy, fermions generally have distinct antiparticles. In 1937, the Italian physicist Ettore Majorana adapted Paul Dirac’s equations to describe the behavior of fermions and bosons to predict the existence of a type of fermion that was its own antiparticle. 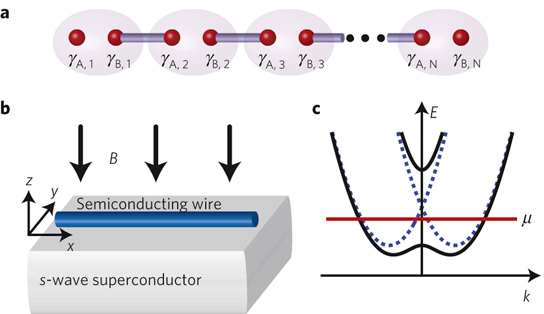 Kouwenhoven’s group setup indium antimonide nanowires, which were connected to a circuit with a gold contact at one end and a slice of a superconductor at the other, and exposed the apparatus to a moderate-strength magnetic field. 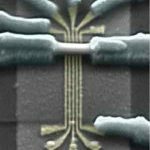 Measurements of the conductance of the nanowires showed a peak at zero voltage, which was consistent with the formation of a pair of Majorana particles, one at each end of the region of the nanowire. Other groups have reported circumstantial evidence of the appearance of Majorana fermions in solid materials, this could be the promise of a direct measurement. 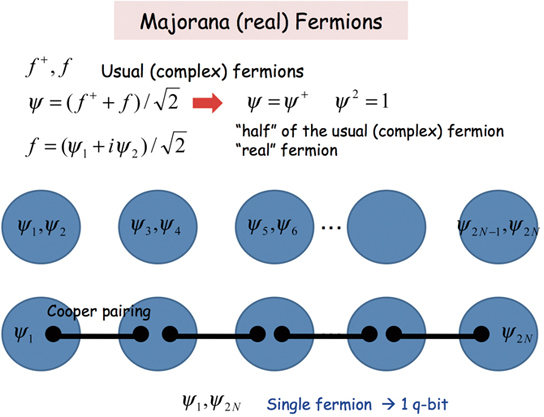 Many schemes have been proposed to use Majorana fermions to act as qbits in quantum computers, though it’s unclear if those created by Kouwenhoven’s process will live long enough to be used in this fashion. 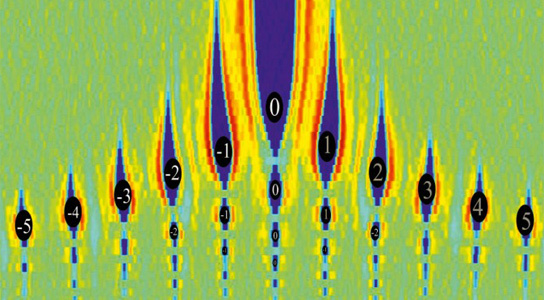 Be the first to comment on "Evidence of Elusive Majorana Fermions Raises Possibilities for Quantum Computing"